Recently, our small group was asked to do a project for our Love Works series. After discussing some options, we chose to raise money to buy protein food items for the Rio Vista Center, a wonderful, local, Christian organization that ministers to the needy in a multitude of ways. We learned that foods in this group, such as peanut butter, tuna, chicken, beef, etc., are rarely donated because of their cost, yet they are an important part of a child’s health and development. The 24 members in our small group began decluttering their homes, collecting the unwanted, unneeded and unnecessary. We met on a brisk Saturday morning in December and set up a respectable rummage sale in our church parking lot. God blessed us and business boomed! 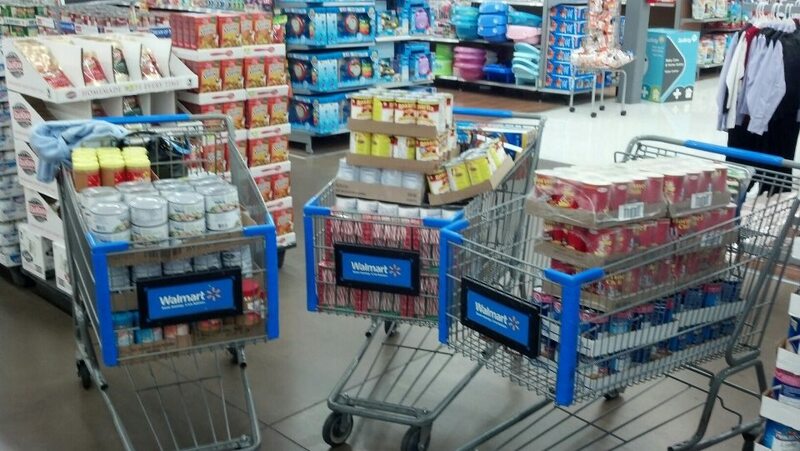 We noticed that when shoppers understood the proceeds were going to feed the needy, there was less haggling over prices and more smiles and interaction. We set a jar out for cash donations and collected an unbelievable $67; we even had people drop off food for the center as well. When all was said and done, we raised $847 in just about 5 hours. Our small group ROCKS!! I expected $400…maybe $500. 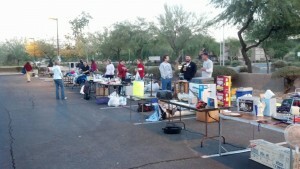 I would have been OVER THE TOP THRILLED for $600…..but NEVER anticipated raising almost $900 in one morning. In addition to the money, which bought a truckload of food, we also donated all the clothes, blankets, toys, etc. that were left over from the rummage sale to Rio Vista, furthering the benefits from our efforts. I try to live a decluttered life. 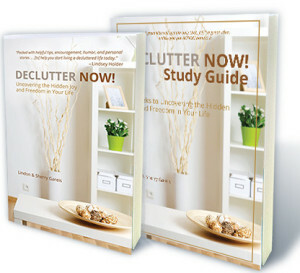 I’m familiar with the concept, understand the benefits and yes, even wrote a book with my husband about it…yet I’m still completely amazed and overwhelmed how valuable decluttering can be. Not only did we each do some ‘November Cleaning’ in preparation for the holidays, but we had a wonderful time raising money for a worthwhile cause. It’s a ‘feel-good’ that’s indescribable unless you’ve personally experienced it. Think about what you could do with just a little time and motivation. Clean out your home, raise money for the needy and donate much needed warm clothes and toys for the winter / holiday season. There’s still time – don’t delay! Be the hands and feet of Jesus and he will surely touch your heart. Feel the blessing of giving! 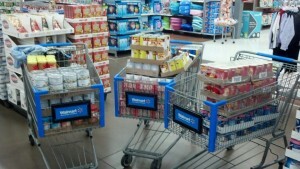 A special thank you to WalMart! The store manager gave us 10% off our total for non-profit donations. 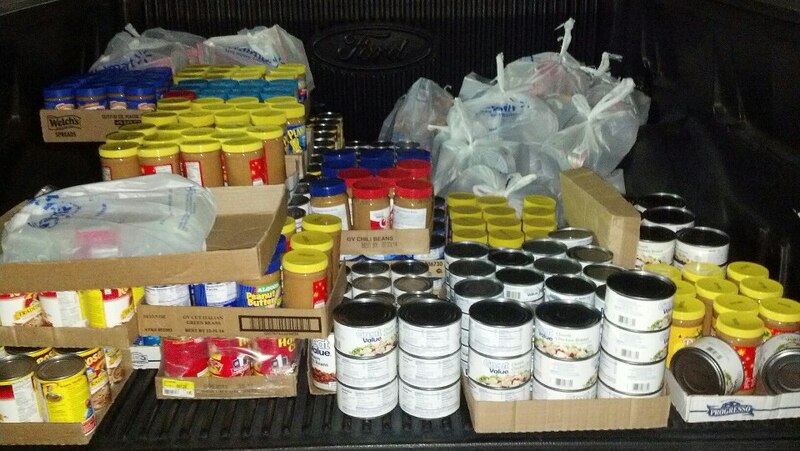 That allowed us to provide an additional $93 in food! Thank you to everyone for your compassion, kindness and help! This entry was posted in Inspirational, Self-help and tagged declutter, donate, effort, food, help, needy, serve, time. Bookmark the permalink. ← It’s ALL in the Wrap!